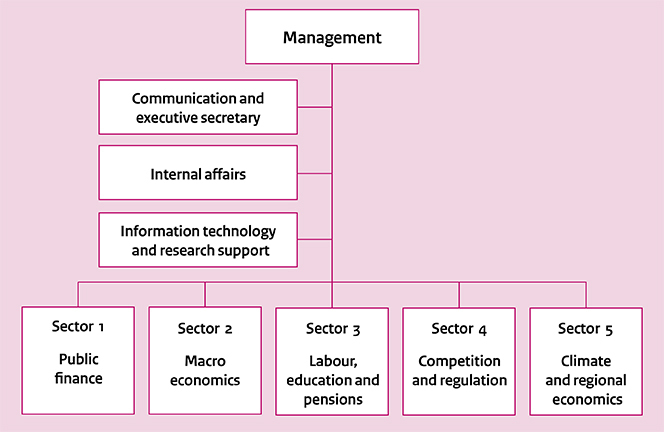 CPB Netherlands Bureau for Economic Policy Analysis has 5 sectors that form the heart of its organisation. Its general management consists of director Laura van Geest and deputy director Jeroen Hinloopen. They are supported by various management departments. CPB is in regular contact with international institutions and organisations, such as the European Commission, International Monetary Fund (IMF) and the Organisation for Economic Co-operation and Development (OECD), and the foreign economic institutes who are CPB’s counterparts. These are the economic research institutes (only in Dutch) with which CPB is in close collaboration. A number of academic partners are affiliated with CPB in an advisory capacity. They participate in CPB research on a regular basis and, thus, make a valuable contribution. Academic partners are appointed to individual sectors for a one-year term, with the possibility of extension. CPB Netherlands Bureau for Economic Policy Analysis offers a stimulating and professional environment to national and international scientists within which to conduct their research. In this way, CPB is contributing to the promotion of joint research and the exchange of knowledge between academic researchers, CPB researchers, and policymakers at the Dutch ministries.